Dr. Glantz, the Truth Initiative Distinguished Professor of Tobacco Control, conducts research on a wide range of topics ranging from the health effects of secondhand smoke (with particular emphasis on the cardiovascular system) to the efficacy of different tobacco control policies. Dr. Glantz conducts research on a wide range of issues ranging from the effects of secondhand smoke on the heart through the reductions in heart attacks observed when smokefree policies are enacted, to how the tobacco industry fights tobacco control programs. His research on the effects of secondhand smoke on blood and blood vessels has helped explain why, in terms of heart disease, the effects of secondhand smoke are nearly as large as smoking. Consistent with what would be expected from the biology of secondhand smoke, he demonstrated a large and rapid reduction in the number of people admitted to the hospital with heart attacks in Helena, Montana, after that community made all workplaces and public places smokefree. His work in this area was identified as one of the “top research advances for 2005" by the American Heart Association. He was one of the people who first argued that controlling youth access to tobacco products was not an effective tobacco control strategy and was on of the first people to identify the importance of young adults (not just teens) as targets for the tobacco industry and efforts at smoking cessation and tobacco use prevention. 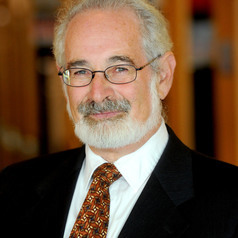 Dr. Glantz is Principal Investigator for the $20 million 5 year Tobacco Center of Regulatory Science “Improved Models to Inform Tobacco Product Regulation,” that was funded in September 2013 as part of a first-of-its-kind tobacco science regulatory program by the U.S. Food and Drug Administration and the National Institutes of Health. The center’s overarching theme is the development of improved models to inform tobacco product regulatory strategies that integrate 1) economic impacts of tobacco use on health costs, 2) risk perceptions, perceived acceptability, consumer responses to pro-tobacco marketing and anti-tobacco messages and other social determinants of tobacco use, and 3) rapid changes in risk due to tobacco use and secondhand smoke exposure as manifest in cardiovascular and pulmonary dysfunction. The center also includes two developmental projects (one on behavioral models and one on cardiovascular and pulmonary disease models), three Cores (Administrative, Informatics and Analytics, and Biomarker), a postdoctoral training program and a process for selecting future developmental projects.